Black cloth quilt with nine patches. 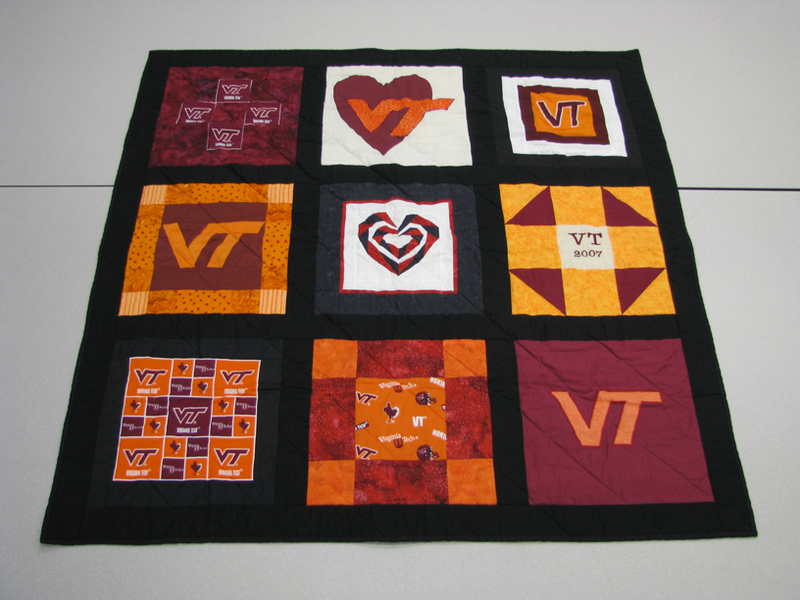 Center patch has a heart in black, red and white, and the surrounding eight patches have various Virginia Tech logos in Maroon, orange and white. Note sewn on back of quilt from Angelina Kendra. Letter included from Angelina Kendra with message of support and explanation of the project/quilt. Size: 42" tall by 42" wide. Property rights in the collection belong to the Regional History Center, Northern Illinois University, DeKalb, Illinois; literary rights are dedicated to the public. See policies and rights for use of the 2/14 Memorial Collection.